NAN; Travelex, a global foreign exchange dealer, on Friday resumed sale of dollars directly to travelers at N356 to a dollar. The News Agency of Nigeria (NAN) reports that the firm’s office inside the Murtala Muhammed International Airport, Lagos terminal was besieged by hundreds of travelers. Some Bureau de change operators within the terminal were also selling from N470 to N472 to a dollar to travelers. 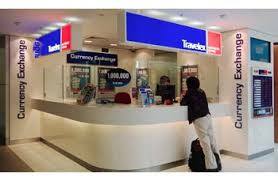 Travelex, which recently got the approval of the Central Bank of Nigeria (CBN) to sell dollar, however, gave stringent conditions for the transaction. The requirements include presentation of valid international passport, visa to destination, Biometric Verification Number (BVN) card, airline boarding pass and signed copy of transaction. The firm also directed that cash would only be handed over to the traveler at the boarding gate after security and immigration checks. According to the firm, these conditions are to ensure that dollar is sold to only genuine travelers, and discourage racketeering. Consequently, some of the travelers were unable to buy dollars from Travelex because they could not produce their BVN cards. One of them, Mr Uche Ikediashi, told NAN that he was hearing about the card for the first time. “Yesterday I bought dollars from a BDC at N470. Today I was told that Travelex is selling at N356; that is why I came here, but they said I needed to bring my BVN card and I don’t have it,’’ he said. Another traveler, Mr Samson Uduak, commended the CBN for the initiative which, he said, had created easy access to forex for travelers.